When Islam is featured in popular media, it's often in the context of conflict: extremism, radicalism, fundamentalism. But Dr. Seyyed Hossein Nasr, Professor of Islamic Studies at George Washington University, has a surprising perspective on his own faith: that it's deeply predisposed towards environmental stewardship. In a public lecture and later interview with IDEAS host Paul Kennedy, Dr. Nasr explains why Islam may well be seen as a 'green' religion. To hear the complete episode, please visit the Ideas website. These recent headlines from mainstream media around the world highlight how the words "Muslim" and "Islam", are often mentioned in the context of terrorism. But according to a world-renowned scholar, there's another word that should be associated with Islam -- and it may surprise you -- environmentalism. Dr. Seyyed Hossein Nasr of George Washington University, believes Islam is more disposed towards environmental stewardship than other faiths, and may well be regarded as the 'green' religion. "Christianity in the West," said Nasr to CBC Radio One IDEAS, "has had a tremendous problem: how to come to terms with the environment at a time when its most devout followers have not shown much interest in the environment. If you take all the verses of the New Testament, there is no reference to nature." Dr. Seyyed Hossein Nasr was born in Iran. He holds undergraduate degrees in math and physics from M.I.T, a Masters in geology and a Ph.D. in the history of science from Harvard University. "The Qur'an addresses not only human beings, but also the cosmos," says Nasr. "It is much easier to be able to develop an environmental philosophy. Birds are called communities in the Qur'an. Human beings, bees, it is so easy to develop an authentic Islamic philosophy of the environment." Nasr's interest in science, religion and the environment spans five decades. He's published dozens of books including Man and Nature: The Spiritual Crisis in Modern Man. 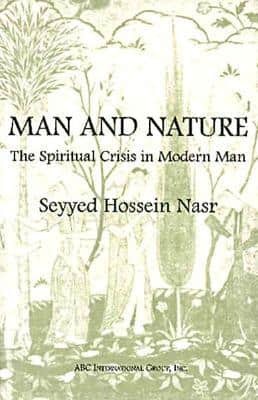 In it, Nasr compares how Taoism, Hinduism, Buddhism, Christianity and Islam, particularly its Sufi expression, see humankind's relationship with the environment. "As long as men lived according to religion there was no environmental crisis," says Nasr. "St. Francis of Assisi wrote, ''Be praised, my Lord, through Sister Moon and the stars;in the heavens You have made them bright, precious and beautiful.'" But Christianity's sensitivity to the natural world changed in the 1600's, says Nasr, when the Catholic Church burned its hand with the trials of Galileo. Catholic and Protestant Christian theologians became less interested in thinking about the cosmos, with the world of nature. Nasr says the scientific revolution in Europe "left nature in the hands of two forces: modern science where the meaning of nature is totally irrelevant, and -- of course - greed." "Islam was never secularized as Christianity was," says Nasr. "Muslims did not lose faith in the same way that happened in the Christian West. You had a very different dynamic in the phenomenon in what has to do with nature." Nasr's views have been both celebrated -- and censored. He acknowledges that there's a considerable rift between his understanding of the Islamic faith and what's actually practiced in Islamic nations: "In almost every Islamic country, what the preachers preach on Friday is ordered by the government,"says Nasr. "One of the things these governments do not like is anything that will stultify what they believe to be economic progress. So there is a very strong opposition to environmental issues." Nasr says that when he talks about pollution in countries like Pakistan and Iran, he hears people say that the West will somehow find a solution. "That is the attitude of most people with an inferiority complex," he says. "That is why the Muslim minorities living in North America play such a huge role in the future of the rest of the Islamic world." "We human beings cannot be happy without the happiness of the rest of creation," he says. "We have killed enough, massacred enough of God's other creatures,"
"God will judge us in the future on whether we are able to live in harmony and peace with the rest of his creation or commit suicide," he says. There is no third choice."